As you can see, I got quite a few things, however, there were a few hiccups along the way. 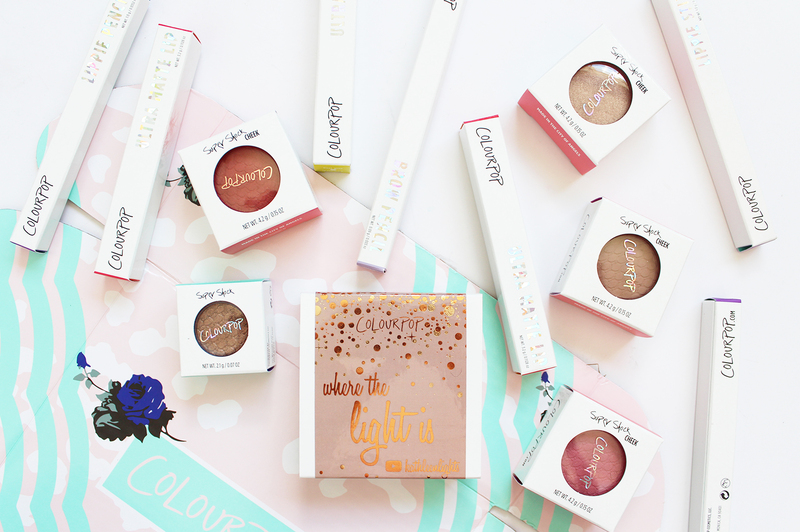 Usually, the ColourPop shipping is really quick and when others started getting their parcels from the same deal, I was eagerly waiting for mine to arrive. Unfortunately, it ended up in the UK, after the tracking didn't update for over a week - I was so worried it wasn't going to get to me but the customer service was great and they managed to track it down. A week and a bit later it arrived! But the icing on the cake was that two things were missing from the order. I emailed them right away and told them what was missing and they responded in less than a day and sent the two missing items (not included in this haul); they arrived much quicker than the last. Despite that, I will and have ordered from them since. 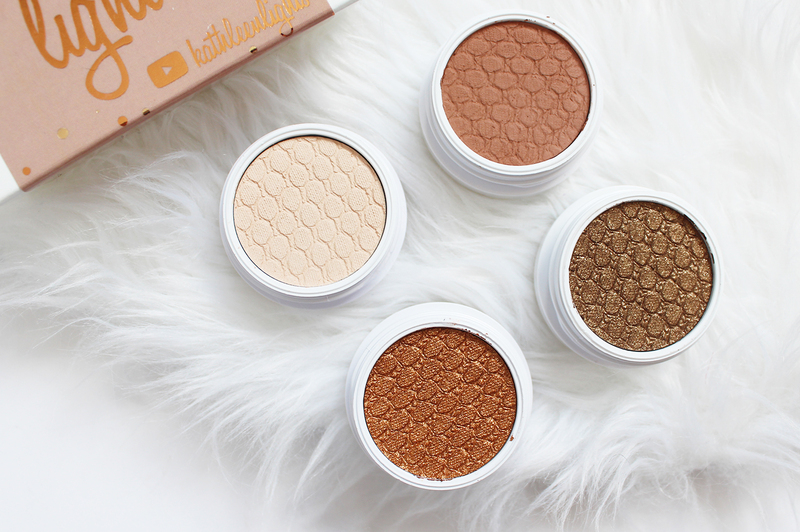 Although I don't watch Kathleen Lights on YouTube (I have seen a few videos here and there), I find these quads to always be great value for money and always have a good selection of shades, making it a bit easier than going through their amazing selection to decide what ones to get! This foursome has been out for ages and I am so glad I got it, as the shades are right up my alley. 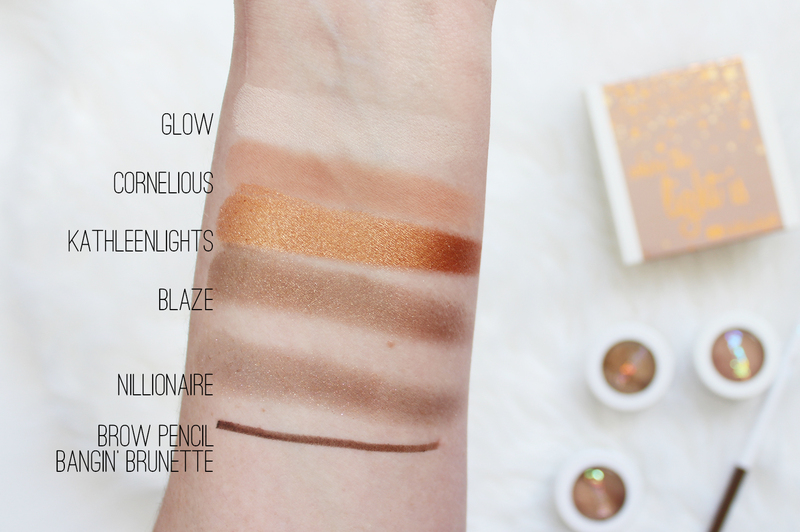 You can see swatches of the four shades, Glow, Cornelius, KathleenLights and Blaze below. It's a great way to try out the different finishes, there's a matte, pearlized and metallic. 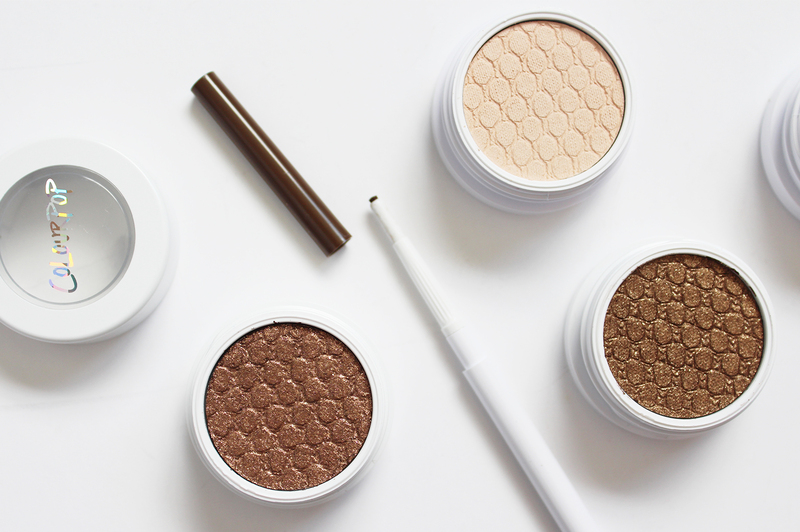 If you haven't used ColourPop Super Shock Shadows before, you will be surprised by the texture of them. They feel like a cream but turn to a powder once applied on the skin, and they feel sort of bouncy in the pans. I find you get the best colour pay off with your fingers, but brushes work well too. People rave about this shade and is a ColourPop cult colour so I had to try it out. It has a metallic finish with a bronze base and gold and multi coloured glitter throughout it. I think just a pop of this in the centre of the lids will look beautiful. The brow pencils are a recent addition to the range, along with the Brow Pots (basically brow pomades). I was so surprised at just how thin the pencil is and how small the nib is; it means you can get in really precise with the brows. The formula at first I found to be really soft compared to what I was using before that, but now I have been using it a fair bit I am getting used to the consistency and only light strokes are needed to get enough product on the brows. I find it lasts well all day and doesn't smudge. Sadly, this was limited edition and is no longer available on the site. The cream blushes have such a nice formula, I find with a stippling brush they work the best or you can dot it on with your finger and blend out with a sponge. Flush'd is a quite a deep shade from what I usually use but you can sheer it out and apply it lightly to the cheeks. I was yet to try out their bronzers, so had to add one to my bag. I went for this shade as they recommended it for fair to light skin tones, plus it has a matte finish. So far I really like it and I think this shade works perfectly for me. I have another couple of blushes from them (Between The Sheets + Holiday) and use them quite often, so I couldn't resist another shade. 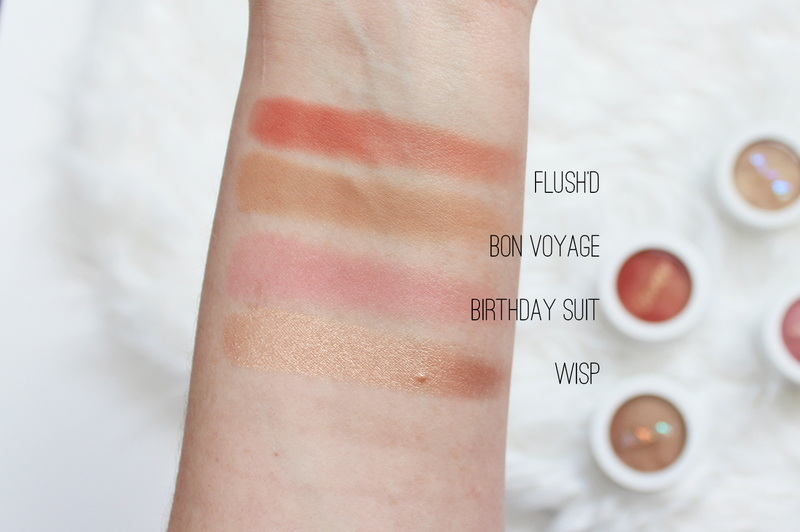 Birthday Suit is a light neutral pink with a satin finish to it. 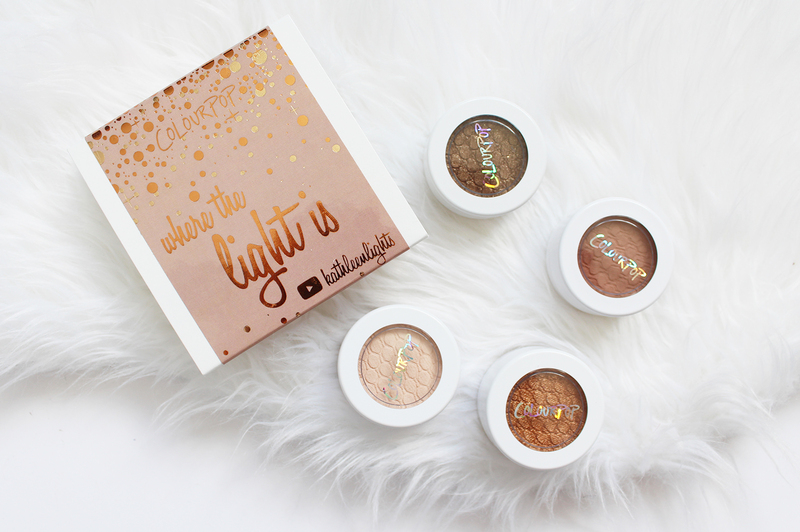 The ColourPop highlighters are a must try in my opinion - the creamy formula means the melt into the skin and gives such an amazing glow to the skin. Plus there are heaps of different shades. Wisp is a golden champagne with a gold duo chrome finish to it. You can't beat a dusky mauve colour when it comes to the lips, I reach for a variation of this shade daily! I have used the Ultra Matte Lips before but not tried the Satin formula, but if you find the matte ones too drying, the Satin formula is still quite drying but not as much and it feels more comfortable on the lips. I have a quite a few shades of these, mostly in the neutral territory so why not add in a few more to that? There are very drying liquid lipsticks, they set down to an insane matte finish which might not be your cup of tea, but they do last and I love the colours. The formula I find is quite runny, and annoyingly some of them don't have stoppers in them that catch the product from the applicator so they can drip around and get a little messy. I am still a fan of them, just put on a good layer of balm a few mins before applying. Christel from Makeupper got this shade in a recent haul and I fell in love with it on her and knew I had to order it. Cami is in the Matte X formula (they also have more glossy and satin finishes in different shades), and is described as a neutral mauve pink. As you can see I really like these sorts of shades and possibly have too many (...never...). The Lippie Stix are so pigmented and especially this formula, it goes on it one swipe and lasts for hours on the lips. It's a good alternative if you find the Ultra Matte Lips drying. 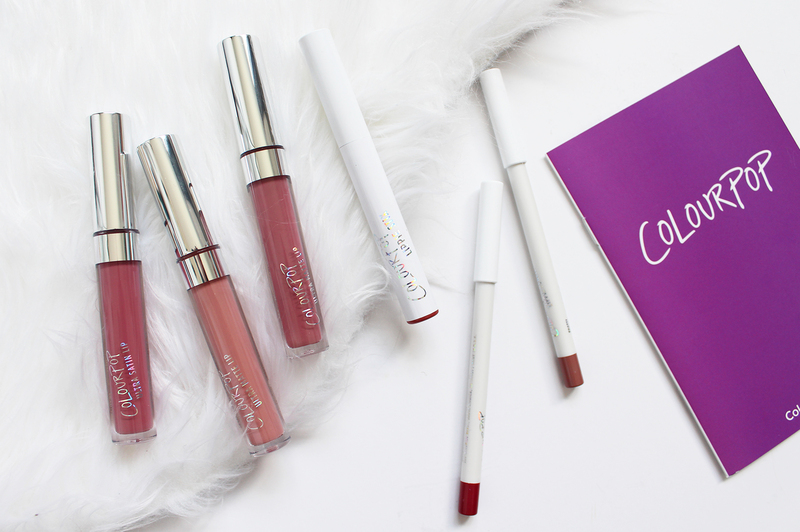 I have SO much love for their Lippie Pencils and they are possibly my favourite ColourPop product. They wear so well on their own, as well as layered and I love the colour selection. 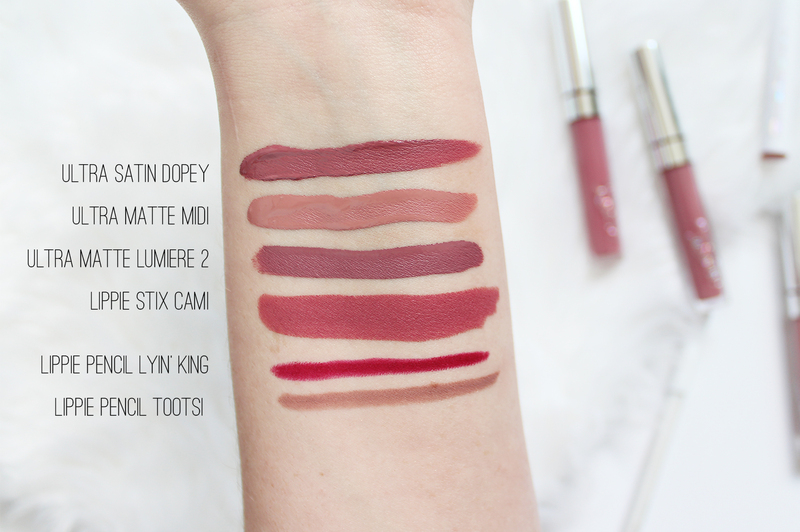 Lyin' King is a raspberry red, and Tootsi is a gorgeous cool toned grey/beige or 'greige'. At the moment they have free shipping, and with Black Friday/Cyber Monday coming along I bet there will be some great deals. The Hello Kitty and new Christmas collection aren't too be missed so take advantage of the cheap shipping while you can! 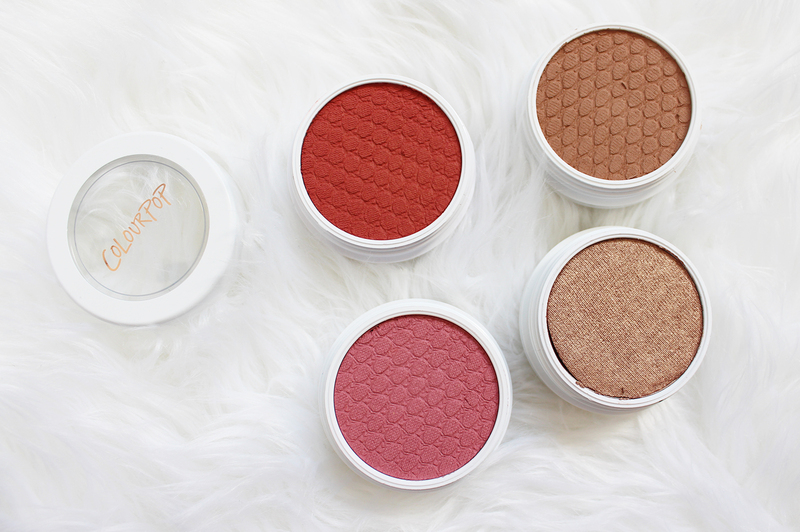 Have you ordered from ColourPop lately?